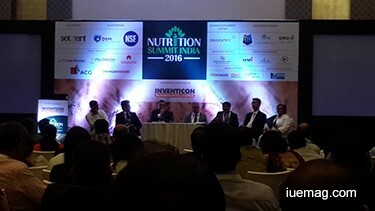 The Nutrition Summit India 2016 proceeded with its second day, educating and empowering the officials from the Nutrition and Nutraceuticals sector. Read on to know more about how the event successfully inspired the attendees. 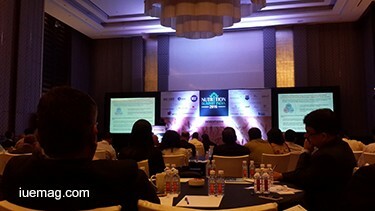 The first day of Nutrition Summit India 2016 witnessed some of the best speakers from the Nutraceuticals industry, with delegates passionately wanting to learn from the experts. Freshness and enthusiasm could be clearly felt among the crowd as the attendees looked forward to more networking and interactions. The 2nd day of the Summit opened with all smiles and pleasantries and attendees were at ease with everything around. The level of curiosity had increased; the networking that happened the day earlier had led to some major discussions and sharing of ideas. 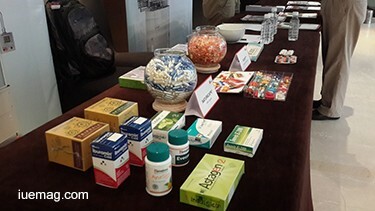 Sponsors like Selerant, ACG, Sonarome, SIRO, HADSA had their stalls up outside the ballroom, with their latest products for promotion. A lot of interaction took place between them and the arriving delegates. Dr. Gautam Banarjee from Hindustan Unilever Ltd., gave the opening speech, welcoming all and marking a positive start to the day. This rejuvenated the entire crowd that had all gathered once again into the ballroom for the kickstart of the second day. The opening panel session began just after the speech which focussed mainly on how nutrition supplements can be made cost efficient in our country. This was a very important and essential talk, as India is becoming health conscious and more and more people are opting for nutritional supplements. The speakers gave summarized the statistics, and it was found that the importing of nutraceuticals from abroad is one of the reasons why they are so expensive. Panelists suggested that people should take joint efforts to increase production of Nutritional Supplements in India. The positivity increased when a common thought was discussed and when the questions put up were very thoughtful and considerate. The stage was then taken by David Trosin, Business Development Director of NSF. He presented about the timeline dietary supplies in the market. Delegates got an opportunity to look onto the happenings and statistics up till date. The networking was a novel kind, as attendees were familiar with each other and therefore interactions were more jovial and weighing with purpose. Delegates were keen on networking with the speakers to get more insights into the theories discussed during the sessions. The next session was headed by Neerja Hajela, Head of Science, Yakult Danone. Her talk was keenly listened by, as she presented an in depth explanation on Probiotics, their importance in regular diet and their rising significance in today’s world. This led to many curious questions from the attendees. All the queries were answered with ease and passion, which had the audience piqued to the topic and lookout for more. Dr. Jagmeet Madan, Principal and Professor of SVT College and the National Vice President of Indian Dietetic Association took over the stage and gave a commanding speech on the dietary patterns in school kids as well as the common risk factors associated with it. The speeches energized every individual who was present in the hall. The all-side knowledge was quite essential and attendees continued to appreciate the talks. Dr. Saurabh Arya from Abbott gave a detailed account on India’s major health condition- Diabetes. The specific nutrition fit for a diabetic person and various issues related to it were discussed. Also, the rising cases of type-2 diabetes is a growing concern among teens. The speakers had clear views and so were put forward for the attendees. Parallely the networking continued, with the sessions. There was a much sought after clarity regarding the FSSAI regulations, product development, target population and a vision to create a healthy India. The last session was headed by Dr. Dipankar Karmakar, Head R&D of Zeon Lifescience Limited. He presented an informative talk on the advanced researches in Nanotechnology and explained how solubility problems of Nutraceuticals can be solved using it. The event was then concluded with a round table discussion, with a specific number of delegates seated around each table. Three major issues were taken by three different groups. There was depth and a clear understanding of roles during these discussions. The event that was spread for 2 days had a great impact on all the attendees, who were motivated by the end of the second day. Everyone looked forward to perform better with passion and zeal to create an impressive mark on their businesses, back in their routines. Even after the event officially concluded, many delegates continued to network for more associations. Any facts, figures or references stated here are made by the author & don't reflect the endorsement of iU at all times unless otherwise drafted by official staff at iU. This article was first published here on 7th May 2016.